Teams whose interactions might be mediated entirely via Internet-based communication, virtual teams, are emerging as commonplace in business settings. Researchers have identified trust as a key ingredient for virtual teams to work effectively (Aubrey & Kelsey, 2003; Beranek, 2000; David & McDaniel, 2004; Iacono & Weisband, 1997; Jarvenpaa, Knoll & Leidner, 1998). 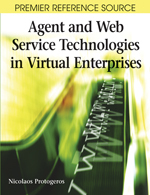 However, researchers have not identified scalable methods that consistently promote trust within virtual teams. Improved interface design for communication support systems used by virtual teams may contribute to solving this problem. Interface cannot solve the problem of members trusting each other, but it can support the type of activities that do. This paper describes the development and some initial experiences with a web-based, template driven, asynchronous communication support tool and how this system can be used to support trust development in virtual teams and performance goals of virtual teams. This article presents the capabilities and features of the communication support system. More detailed findings from an experimental study of this system’s use can be found in another publication (Remidez, 2003).